Cluson Clulite Pro-Spotter LED Gun Light. The clulite pro-spotter gun light from cluson is a high powered light weight LED rechargeable gun light - which has an incredible beam with a clear shooting range of 250 metres. High & low beam settings giving 3.5 hours continuous duration on high brightness and 10 hours on low. 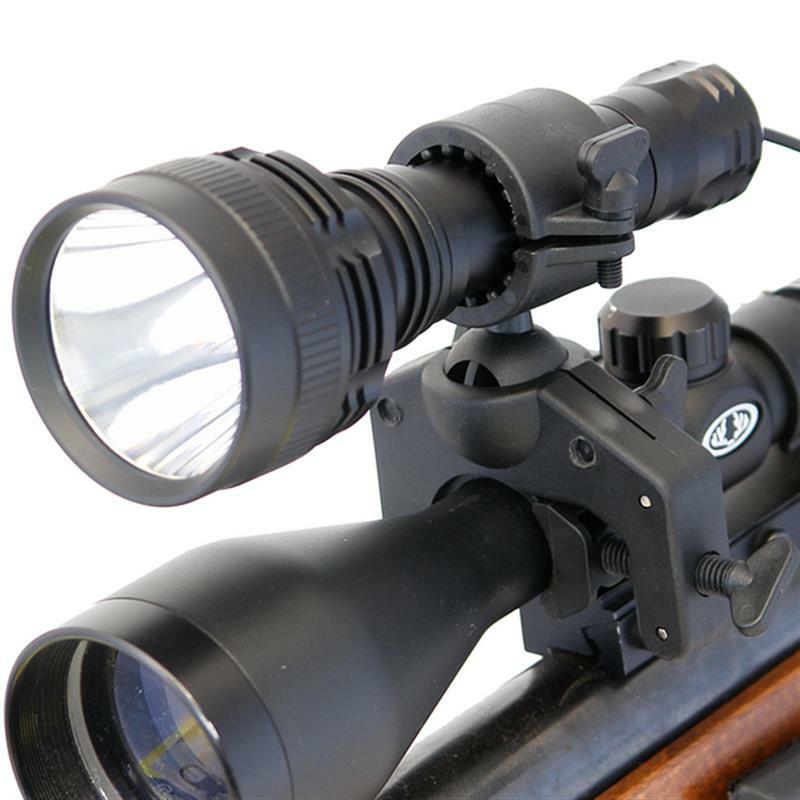 Package comes complete with lamp, rechargeable battery, unique ball gun mounting system fits both 25 and 30mm scopes, 2 switch options for gun mounted or hand held use, mains & vehicle charger.